Harrison Ford slow down? Not a chance. He's been revisiting some of his most iconic roles, whether it be in Blade Runner 2049 or Star Wars: The Force Awakens, leading some to think he was doing it as a graceful way to call it a career. 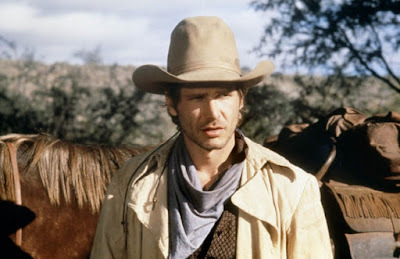 But with a hole in his schedule opened up with the delay of Indiana Jones 5, Ford hasn't stopped to take a break. He's instead rejoining his Blade Runner 2049 screenwriter for an adaptation of Jack London's The Call of the Wild. Variety reports Ford will star in Call of the Wild, with a script by the ubiquitous Michael Green, writer of Blade Runner 2049, Logan, and more. He's everywhere, it seems. London's novel takes place in 1890 at the height of the Klondike Gold Rush, and centers on a dog named Buck who is stolen away from his California home and forced to become a sled dog in the harsh Yukon. Fortunately, Ford won't be voicing any animals, he'll be playing “John Thornton, a prospector braving the Yukon on the hunt for gold.” In the novel, Thornton forges a bond with the St. Bernard-Scotch Shepard, and the two look out for one another in the dangerous terrain. Chris Sanders (The Croods) will direct, making this just the latest adaptation of London's book. Previous versions were released in 1935 starring Clark Gable, and another in 1972 with Charlton Heston. Pretty good company for Ford to fit in with. Production on the film begins in September.